I made these from bits I had in the fridge and they worked so well I wanted to get the recipe diwn before I forgot as I will definitely be wanting to make them again. Chop the pork belly into bite size cubes remember that they may shrink during cooking so allow for this. Marinade to your own personal preference. I had a sweet tangy marinade leftover from a slow cooked pork the week before so used that. I left the pork to get flavoured over night in the fridge. Preheat the oven at 160° for 20 minutes. Put the pork on a baking tray with gaps between so they all cook evenly. Put them in the oven for about 15-20 minutes. 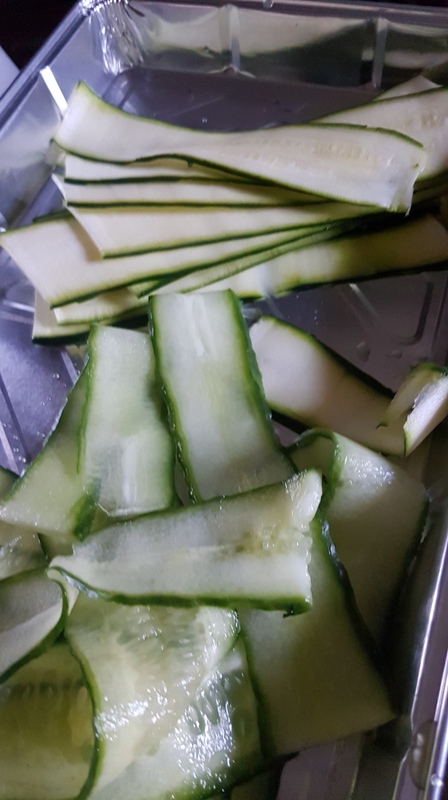 While the pork belly is cooking thinly slice length ways some courgette or cucumber which ever you prefer I used both but in the future I think I’ll use courgette as it’s not as full of water. 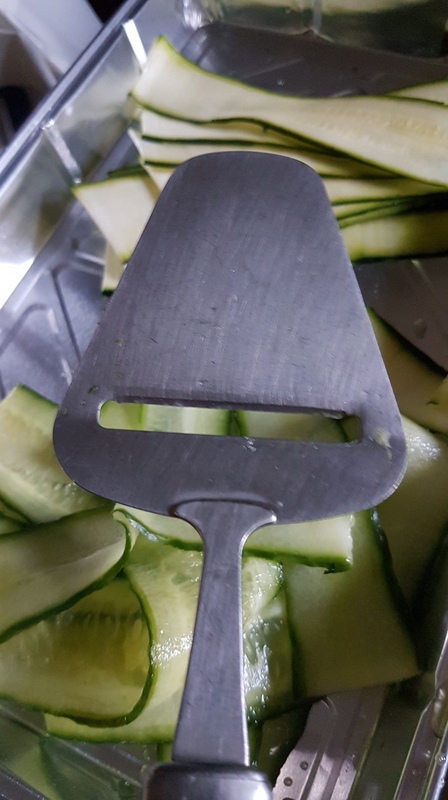 I used a cheese slicer to slice the veg. 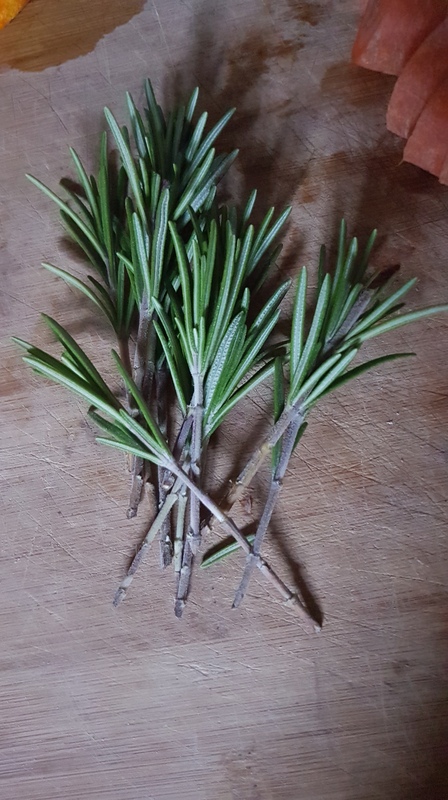 Prepare the Rosemary by stripping the leaves from the bottom of the stem and you’ll be using them for skewers later on. Don’t throw away the leaves put them in a jar to use in cooking another time. Once pork is cooked leave to one side until it is cool enough to handle without burning yourself. Spread a layer of Apple sauce along the length of the courgette or cucumber. 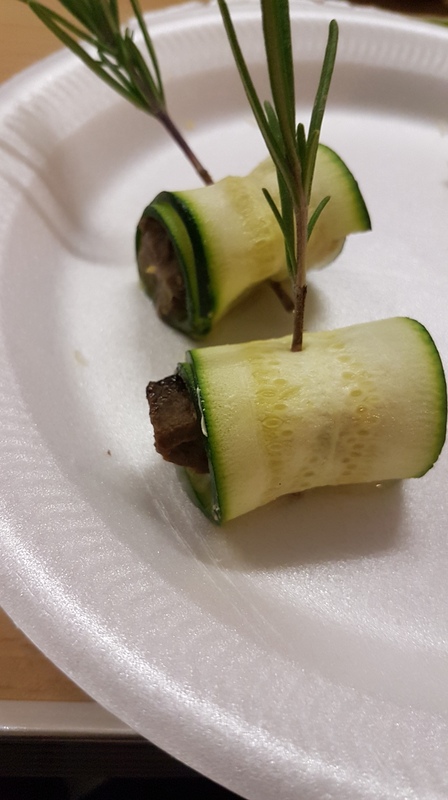 Put a piece of pork at one end the roll up until complete encased in the veg then secure in place with the the Rosemary. Repeat until you are out if ingredients. I wish I had taken more pictures while I was doing it but was in a rush I’ll update this post with better pictures when I make some more.